Welcome to my "Strength and Comparison" article for the coming week. The article "Ranking, Rating and Score" has also been published. 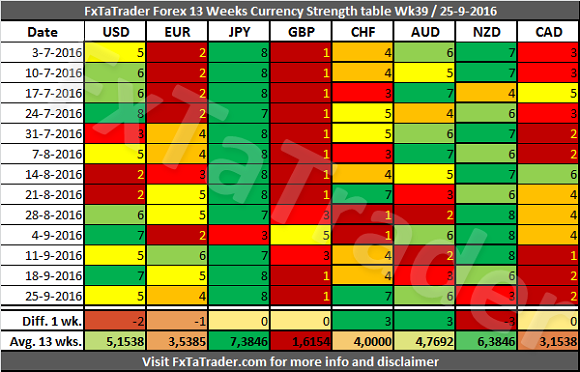 When looking at the Currency Strength in the table here below we can see that the CAD lost a lot of strength in the last 3 weeks. The CHF and the AUD became stronger in the last week and the NZD weaker. For more details read both of my articles where the necessary Charts and Tables are provided. In the last weeks the CAD became a lot weaker. According to the Currency Strength table here above the Avg. 13 Weeks of the CAD is lower than the EUR which is a weak currency. 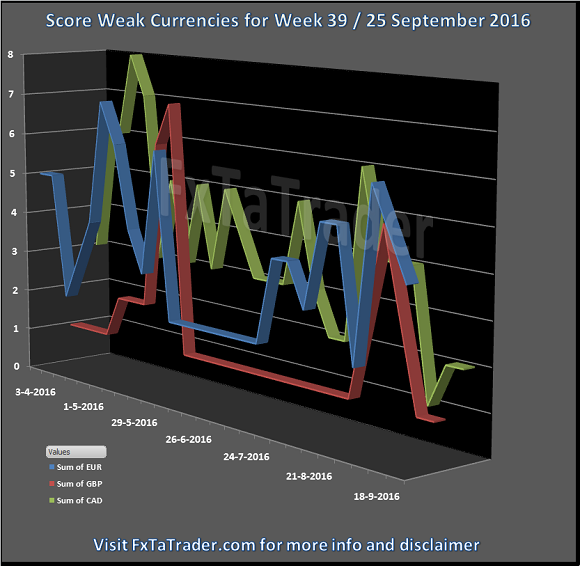 The CAD scored also 7 times lower than the EUR in the last 13 weeks. For these reason the classification of the CAD has changed from Average to Weak. The GBP is clearly still the weakest currency with the lowest score of 1. 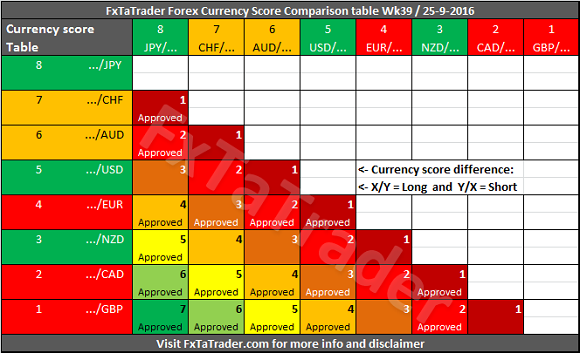 Here below you can see the Weekly Currency Score Chart for the weak currencies with 6 months data as a reference.